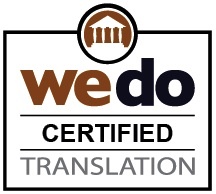 We translate all types of legal document, including: Affidavits; Depositions; Witness Statements; Resolutions; Statutes; Executive Orders; Rules; Complaints; Answers; Motions; Orders; Briefs; Litigation Documents; Jury Instructions; Judicial Opinions; Consumer-Finance Contracts; Insurance Contracts; Agreements related to construction, goods, services and employment; Tenders; Investment Contracts; Real Estate Documents; Estate Planning Documents; Articles of Incorporation; Copyright Registrations; Trademark Applications; Patent Documents; Certificates of Accuracy; Clarity Awards; among others. Links to related legal topics: Contracts & Agreements; Wills & Testaments; Power of Attorney; Court Judgments; Court Transcripts; By-Laws; and, Case Law. 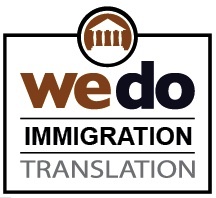 Links to related official document translation services: Birth Certificates; Marriage Certificates; Divorce Certificates; Adoption Papers; Naturalization Papers; Diplomas; Academic Degrees; Academic Transcripts; Police Records; Travel Cards & Travel Documents; Immunization Records; and, Medical Records. Bi-Directional Document Translation Service for virtually any language pair used in legal documents. In addition to providing legal document translation services from any language into the English, French or Spanish languages, we can also assist you with the translation of English language legal material into the world's most popular languages: English to Chinese; English to Arabic; English to German; English to Japanese; English to Portuguese; English to Russian; English to Korean; English to Italian; English to Hindi; to name but the most popular among the more than 75 languages that we can handle for you. 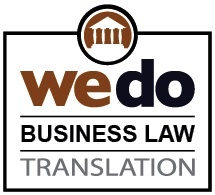 We translate all manner of texts and documents within the field of contract law. 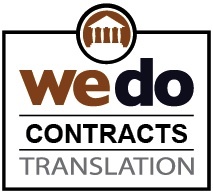 We assist organizations with legal documentation that requires accurate translation, such as, but not limited to: Contracts of sale; Contractual clauses; Indenture(s); Memorandums of understanding; Short form contracts; Standard form contracts; Lump Sum Contracts; Unit Price Contracts; Cost Plus Contracts; Incentive Contracts; Percentage of Construction Fee Contracts; Unit rate contracts; Financing contracts; Project management contracts; Contract terms & conditions; Contracts under seal; Tenancy Agreements; Lease Agreements; and, Option contracts among others. ENGLISH: CASE LAW - Case law is the reported decisions of selected appellate and other courts (called courts of first impression) which make new interpretations of the law and, therefore, can be cited as precedents in a process known as stare decisis. These interpretations are distinguished from statutory law which are the statutes and codes enacted by legislative bodies; regulatory law which are regulations established by governmental agencies based on statutes; and in some states, common law which are the generally accepted laws carried to the United States from England. Trials and hearings which are not selected as 'courts of first impression' do not have rulings that become case law; therefore, these rulings cannot be precedents for future court decisions. FRENCH (FRANÇAIS) - JURISPRUDENCE: La jurisprudence désigne l'ensemble des décisions de justice relatives à une question juridique donnée. Il s'agit donc de décisions précédemment rendues qui illustrent comment un problème juridique a été résolu. La jurisprudence est constituée d'abord des décisions rendues par les hautes cours nationales, mais aussi, avec un poids moindre, de celles rendues par des cours de rang inférieur. SPANISH (ESPAÑOL) - JURISPRUDENCIA: Se entiende por jurisprudencia a la interpretación jurídica que realizan órganos jurisdiccionales competentes con la finalidad de aclarar posibles lagunas de la ley y es posible crearla a través de las reiteradas interpretaciones que hacen los tribunales en sus resoluciones de las normas jurídicas, y puede constituir una de las Fuentes del Derecho, según el país. También puede decirse que es el conjunto de fallos firmes y uniformes dictados por los órganos jurisdiccionales del Estado. Esto significa que para conocer el contenido cabal de las normas vigentes hay que considerar cómo se vienen aplicando en cada momento. En otras palabras, la jurisprudencia es el conjunto de sentencias que han resuelto casos iguales o similares de la misma manera o en el mismo sentido. Administrative Law; Antitrust law; Case Law & Mediation; Asbestos law; Banking Law; Bankruptcy Law; Case Law; Civil Law; Civil Procedure; Commercial Law; Communication law; Company Law; Competition Law; Constitutional Law; Construction Law; Contract Law; Copyright Law; Corporation Law; Criminal Law; Entertainment Law; Environmental Law; Family Law; Industrial Law; Insurance Law; Intellectual Property; Internet Law; Labor Law; Litigation; Property Law; Protocols & Patents; Sales & Acquisitions; Structured Settlements; Tax Law; Tort Law; and, Workers Compensation. Our Quality Assurance Means Peace of Mind guarantee is the cornerstone of our commitment to deliver competitively priced services of the highest quality within agreed upon deadlines. Our work is not done until the work is approved by our clients and they are completely satisfied. Website Translation and Localization Services for law practices: We have substantial expertise in the translation of website content. 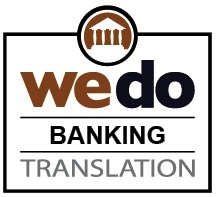 However, our website translation service goes well beyond the translated word. We approach website translation assignments with localization considerations in mind: cultural adaptation (appropriateness); target audience(s); search engine optimization (SEO). 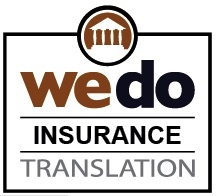 Our objective is to ensure that your translated website is effective in reaching its intended audience, delivers your business message strongly and succinctly, projecting a credible professional image while protecting your reputation. Technical documents can be found in a very wide range of subjects: automotive; hydraulics; engineering (civil, marine, mechanical, electrical); avionics; medical & pharmaceutical (monographs, equipment specs, hardware); the law; information technology; optics; science (chemistry, mathematics, statistics, physics, etc. ); high tech manufacturing; architecture and construction. Technical applications would include: commercial agreements; product labeling; scientific reports; statistics and mathematics; patent documents; instruction manuals; warranties; engineering specifications; etc. There's really no end of topics. PLEASE LET US ASSIST YOU!